Amrapali Dubey item song: One of the sexiest actresses in the Bhojpuri film industry, Amrapali Dubey aka Bhojpuri YouTube queen has been entertaining fans for the past several years. She is also a phenomenal dancer and her item songs such as Nase Nase Chadhata Je Jahariya, Katore Katore, Love Ke Liye Kuchh Bhi Karega, Samaan Chunmuniya, Matha Fail Ho Gail among several others garner millions of views and likes on YouTube. 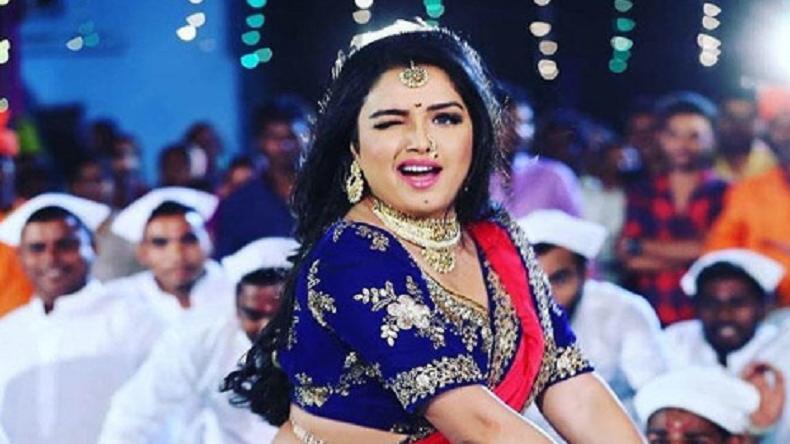 Amrapali Dubey made her debut in the Bhojpuri film industry in 2014 with Dinesh Lal Yadav aka Nirahua-starrer Nirahua Hindustani post which she featured in several Bhojpuri films such as Baghi Bhaile Sajna Hamaar, Nirahua Rikshawala 2, Bam Bam Bol Raha Hai Kashi, Nirahua Chalal Sasural 2, among many others and she is now one of the highest paid actresses in the Bhojpuri film industry. Amrapali Dubey was last seen in Nirahua-starrer Nirahua Hindustani 3 which emerged as one of the biggest blockbusters of last year.